Our story is a familiar one: if you build it, they will come. 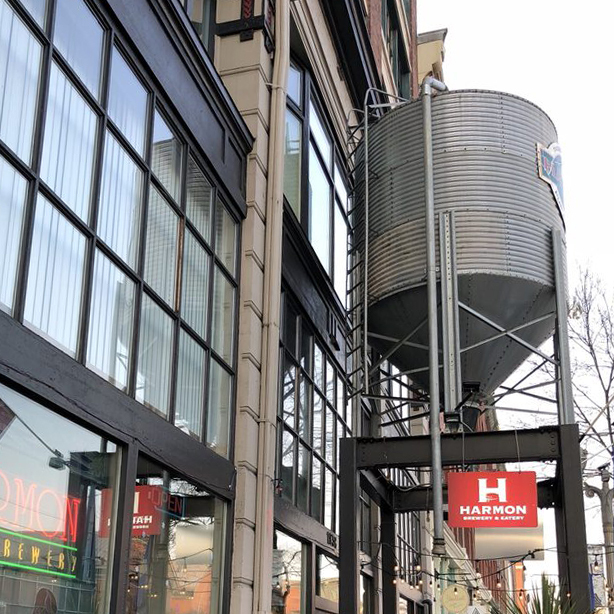 We’re Tacoma’s original craft brewery, setting the standard since 1997 and serving hometown pride in every pour. At the end of the day, it’s about the beer. We’ve won our fair share of awards, but it’s brewing for our community that truly drives Harmon’s commitment to being the best. The Taproom is where you can kick back, relax, and enjoy seeing our craft beers being created every day. Stop by for early and late happy hours 7 days a week (all day on Sunday), a seasonal beer garden and expanded game room, plus a full bar and kitchen featuring our famous brick oven pizzas. You’ll find the perfect pairing among 20 beers on tap, including go-to classics and rotating selections. We even pour some of our favorites from other local breweries, because that’s what community is all about.